The project has been developed by a team of researchers headed by Prof. Pini Gurfil, head of the Asher Institute for Space Research and a member of the aerospace engineering faculty at the Technion. The project, developed with the support of the Adelis-Samson Foundation and the Israeli Space Agency (ISA) in the Science and Technology Ministry, will be launched on the Indian launcher PSLV at the end of 2018 by the Dutch company Innovative Solutions In Space, which specializes in launching nano-satellites. The project has been developed by a team of researchers headed by Prof. Pini Gurfil, head of the Asher Institute for Space Research and a member of the aerospace engineering faculty at the Technion. It is designed to prove that a combination of satellites can hold together in a controlled formation for a year some 600 kilometers above Earth. A successful small model of the nano-satellites also exist at the Technion. The satellites will be used to receive signals from Earth and calculate the location of the source of the broadcast for rescue, detection, remote sensing and environmental monitoring. Each of the satellites is 10 cm. x 20 cm. x 30 cm. – about the size of a shoebox – and weighs about eight kg. They will be equipped with measuring devices, antennas, computer and control systems and navigation devices. The software and algorithms that will control the flight were developed in a laboratory for distributed space systems at the Technion. 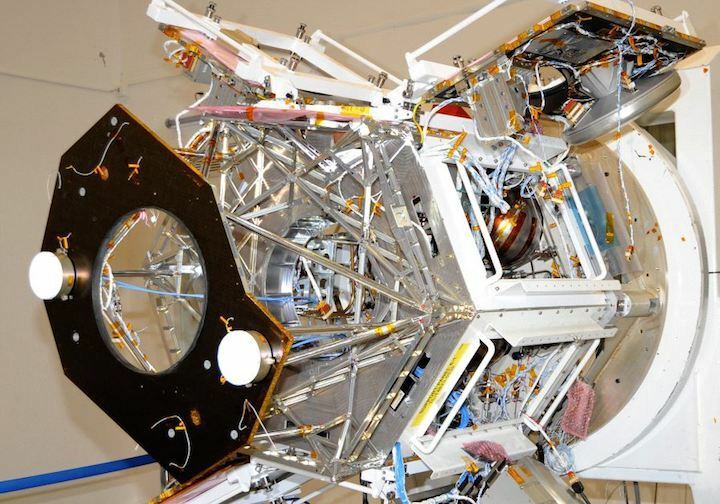 The unique features of the satellites are all locally produced. Rafael’s krypton gas-based propulsion system will be the first of its kind in the world to fly a tiny satellite. The digital receiver was developed by Elta and the guidance control system was developed at the Israel Aircraft Industries’ Mabat plant in cooperation with the Technion researchers. In addition to the propulsion system, the satellites will accumulate energy through solar panels that will be spread out alongside each satellite and serve as wings that will be able to control the flight of the nano-satellites’ structures without the use of fuel through air resistance in the atmosphere. Each of the satellites will have a digital signal receiver, one of the most complex receivers ever designed in a nanoscale. The satellite information-processing system and the algorithms that will maintain the formation will be the first of their kind in the world and support the autonomous operation of several satellites together. The communication and navigation systems will include two GPS receivers, through which the three nano-satellites will communicate with one another and with the ground station -- a significant challenge that has been solved in the current project. A dedicated frequency will be used to transfer information to the Earth in broadband.